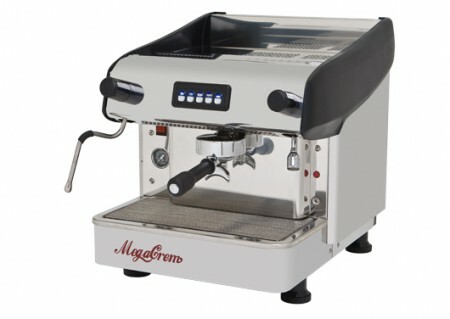 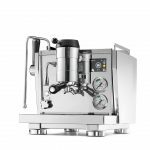 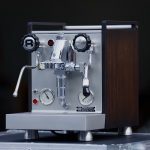 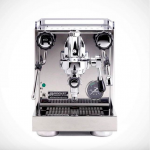 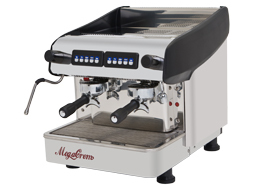 By far the most popular Expobar model, the Megacrem is an extremely reliable and stylish espresso machine that rivals its more expensive competitors. 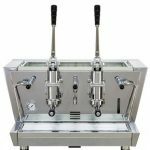 Hand built by skilled professionals, with only the best quality components, this machine demonstrates Expobar’s strong attitude towards quality craftsmanship and technology. 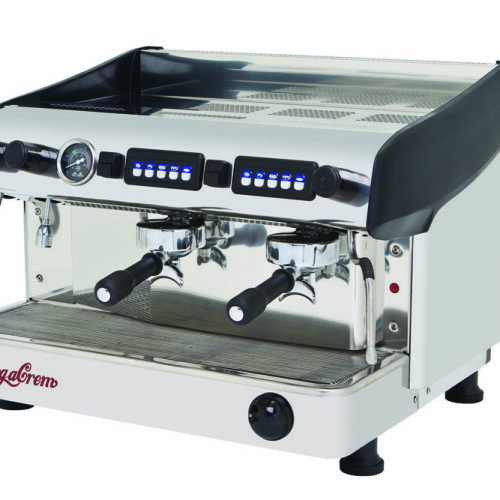 User friendly functions include: illuminated blue touch pads to control the dose of coffee at the touch of a button, direct pre-infusion, steam pressure gauge, automatic boiler refill and an automatic back-flush program for each group.